We all know that dating can be scary, frustrating, and at times overwhelming. It's no wonder women need to take a break sometimes, but what do you do when you're ready to begin dating again? Renowned relationship expert and author of the Flirting Bible, Fran Greene, gives you the advice and encouragement you need to embrace dating with enthusiasm, playfulness, and self-confidence. 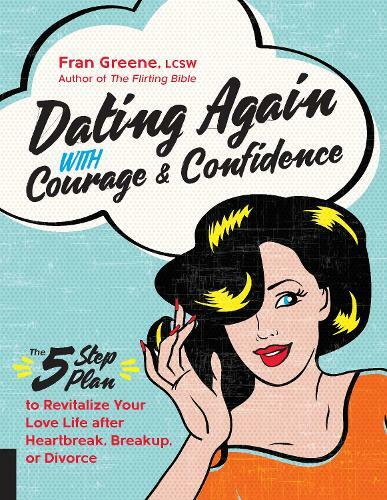 Fran Greene's five-step program will guide you from single life, recent breakup, or divorce to your happily ever after. You will be empowered with the essential tools to tackle dating head-on. DECLUTTER by removing obstacles including the distractions of old flames and failed relationships on your path to finding love.FIND JOY again in a fresh approach to dating that will inspire and motivate you for the adventure ahead.FLAUNT your best traits and learn to become a fabulous flirt with proven tips and strategies.MASTER the tools at your disposal, from dating sites and apps to social media, and learn the do's and don'ts of texting. EMBRACE YOUR FUTURE and adjust your attitude with a 60-day dating action-plan. With this book in hand, you'll have the expert advice and proven strategies you need to date smarter and live a happy and fulfilling future.